Marriott released redemption pricing for all of their hotels in the new Marriott program which starts sometime in August. They’re promoting that the most expensive hotel redemption will be 60,000 points but that’s only true through the end of the year, starting in January redemptions can cost as much as 105,000 points per night. That’s not really fair, as Stephen Pepper points out. Marriott increased points prices at a ton of hotels in March, only to lower their prices in August. 21% of hotels are going up in category while just 5% are going down in category. The number of points required to redeem for a free Marriott hotel night is going up at over 1000 hotels effective March 6th. That leaves many hotels costing more in August than they did in February, but with Marriott promoting them going down in price. 353 will require more points than they did pre-March, but Marriott can claim they cost less due to the increase in March. 213 will require the same number of points they did pre-March, but Marriott can claim they cost less due to the increase in March. 159 will require more points than they did pre-March, but Marriott can claim they cost the same due to the increase in March. Even accounting for this, the number of hotels going up in price is roughly equal to the number going down in price. But comparing Marriott redemption prices in February to pricing in August is a more reasonable take than ‘reductions outnumber increases’. Five years ago Wyndham devalued their points. Some properties went up by as much as 87.5%. Then they made all redemptions cost a flat 15,000 points per night which meant dropping the prices of some properties 70%.. while nearly tripling the points price of their least expensive properties. Wyndham appeared to figure out that they could massively devalue their low end redemptions and still get positive press for it. Everything old is new again. Perhaps people will bash Hilton points less now. Yes, it takes a boatload of them to redeem for high end properties, but they give you so dang many. The gap between their redemption rates and Marriott’s is shrinking, compliments of Marriott. In hindsight, the bigger ah-ha to me is that Marriott saw a low-risk opportunity to test the limits of bumping up their hotel categorizations. Take significant increases, measure the results, 6 months later correct the over-reaches and take credit for “lowering the cost”. The guy’s article is much ado about nothing. In the last paragraph of his article even he concedes that Marriott’s changes are not that bad. As a long time Marriott devotee, I can most assuredly tell all that their free night certificates from Marriott — both the old ones issue under the pre-8/1 award chart and those that are to be instituted post 8/1 — will be quite valuable — and far more valuable than the changes pre-March 2018, before the “devaluation” occurred. As such, the entire article is all sound and fury, but not much substance. Although Marquee resorts might be going up for the likes of jetsetters like Gary who have a lot of time on his hands to visit out of the way places like Mauritius, the Seychelles, etc., where it takes you a better part of a day just to get there, many hotels in large cities throughout the world, will be obtainable by those holding the credit card certificates, not to mention a horde of points. The thrust of the article is thus overblown and misleading. 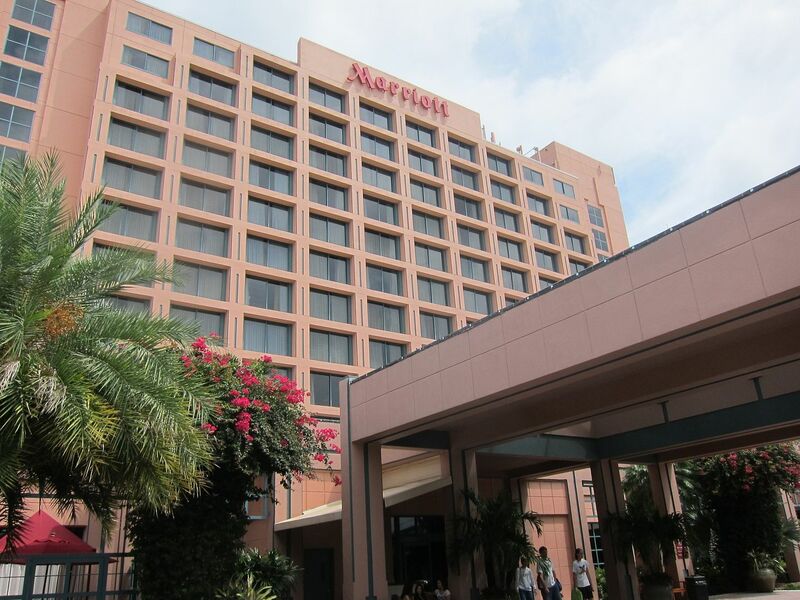 Marriott has made very positive changes to its award program and that is a fact. It’s the same old story – points & miles members getting hosed again. And why not? Many current members including elites won’t even know about most of the changes and when they wake up, if ever, won’t care. For new members it is ancient history. Are you trolling us or you serious? Yes, the point difference between the rates my not be significant but the point of the articles were Marriott almost certainly manipulated the pricing of awards so they could make sensational claims that the new program post-August is a great benefit for all of us. Not only did they not make positive changes, they also manipulated us into believing changes were positive. I bought a level 6 air+hotel package from Marriott recently. Since there will only be 7 levels off Marriott awards next month, any idea what that means for the unused certificate? You may have believed certain claims, but not I. Still, the award changes are a net positive, especially for Marriott/SPG credit card holders vis a vis the free credit card night associated with the credit card (as well as former Mega-Bonus certificate promotions). Although not as good as the free credit card night associate with the Hyatt credit card, the new Marriott credit card free nights are a vast improvement with what had been provided before. The above is tempered by our not knowing peak award pricing for most hotels, but if they follow the SPG template used in the past, then it still should be a good match. By the way, I am a Lifetime Marriott Rewards member and am thus pretty knowledgeable about the program.